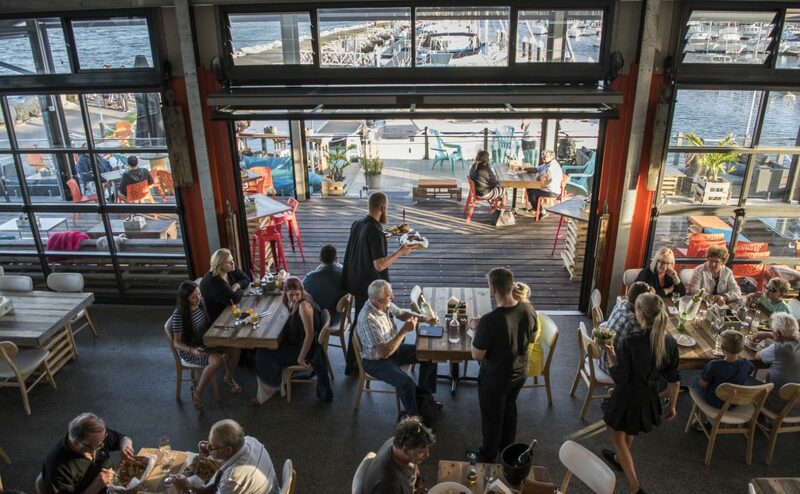 If you’re a local at Bateman’s Bay Marina, you’ll have seen the transformation of the site since April 2016, when the 12-hectare 70-year lease was taken over by Sydney-based investors. If you haven’t been for a while, or you live up north, you really should head down to take a look. 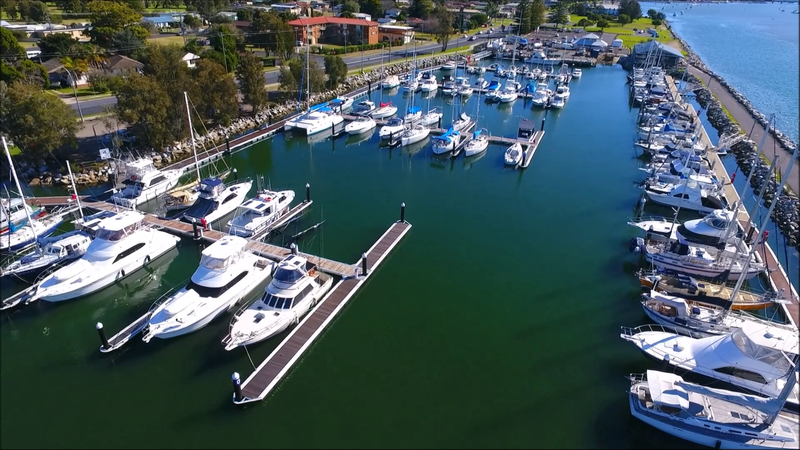 With a vision of a world-class marina in the pristine waters of Batemans Marine Park, the $4.5 milllion stage one redevelopment has been one of the most significant projects in Batemans Bay’s recent history. Now fully serviced with everything you would expect at any leading marina, the number of visiting boats has increased by 300 percent. 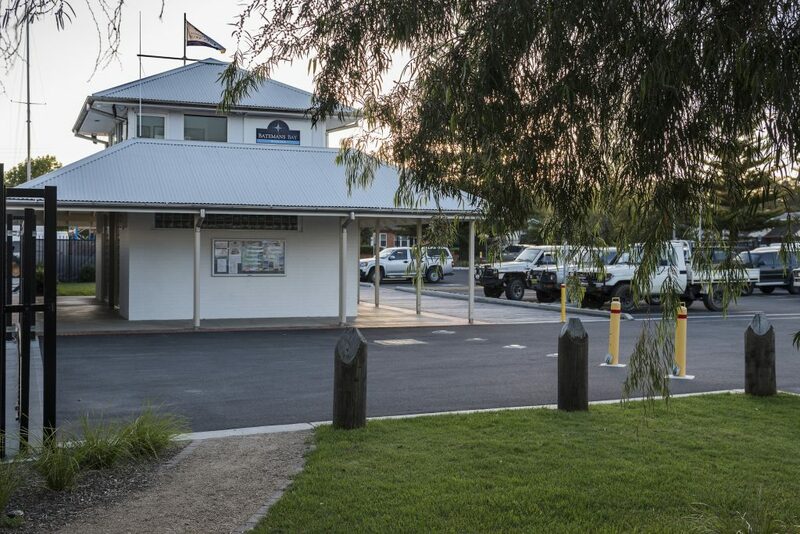 New pontoons have replaced the old timber jetties and there are new slipway and hardstand areas, a new car park, secure boat trailer parking, helipad, improved lighting, CCTV cameras and landscaping. The number of berths has expanded from 100 to 135, and the average berth length has increased from eight to 12 metres (26 to 39 ft). Working with the NSW Department of Primary Industries, the marina was dredged to accommodate a new E Arm, which extended the maximum length to 18 metres (59 ft); its T berth can accommodate even larger vessels. The retail precinct has drawn six leading businesses, and the locale has emerged as a destination for tourists as well as locals (you would know this if you’ve been to JJs @ the Marina or relaxed in the sunshine eating Ralston Bros’ world-famous Clyde River oysters). The new 24/7 fuel stop has played its part, encouraging more transients into the marina, with regular visitors from Sydney and Melbourne, as well happy retirees circumnavigating Australia. 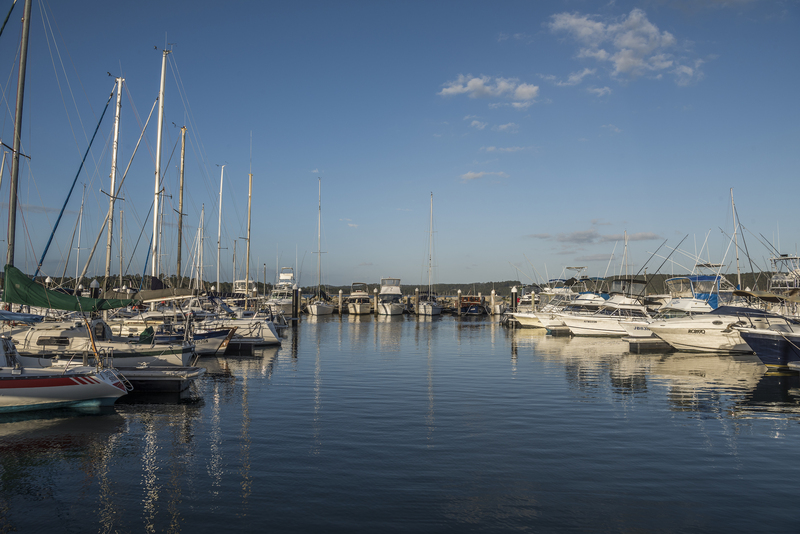 “The members of the old marina co-op loved it, but the old wooden jetties were rotting and the services were limited,” said Batemans Bay Marina Manager Daimon Martin. “What we have now is a modern fully-serviced marina, where everyone can take advantage of the amenities as well as the retail precinct. “Our vision is not just about improving facilities for boat owners, it’s about opening up access to a very unique ocean environment and giving confidence to local retailers—so everyone benefits. But it won’t stop here. With only a third of the lease area developed, there are plans underway for stages two and three of the development, which will see the marina expand to the east, with a doubling of wet berths, more ancillary buildings and further opportunities for dining at the water’s edge (we can’t wait to see it). Bateman’s Bay Marina Manager Daimon Martin hosted a meeting of the Tourism Advisory Committee at the marina on 21 February 2017, a networking event to foster industry collaboration and information sharing. The Farm Gate and JJ’s @ The Marina served up delicious food to the more than 110 people who attended, and it was an all-round great success. During Autumn the industry will be promoting its #EatStayPlay campaign. The new E Arm was completed in December, creating 18 new berths of between 15 and 18 metres (49-59 ft). The T berth recently accommodated a 33-metre (108 ft) vessel, the MV Pipeliner, the biggest boat ever to enter the marina (even Daimon was impressed). Around the time dredging took place for the new E Arm, the Clyde River sand bar was dredged by Crown Lands to a depth of 2.3 metres (at low water). The marina had lobbied for this for the past 10 years, to accommodate safe entry into Batemans Bay, and there is now discussion with Crown Lands for an ongoing dredging maintenance program. New kid on the block Ralston Bros’ The Farm Gate opened at the marina on Christmas Eve, and the response has been outstanding. 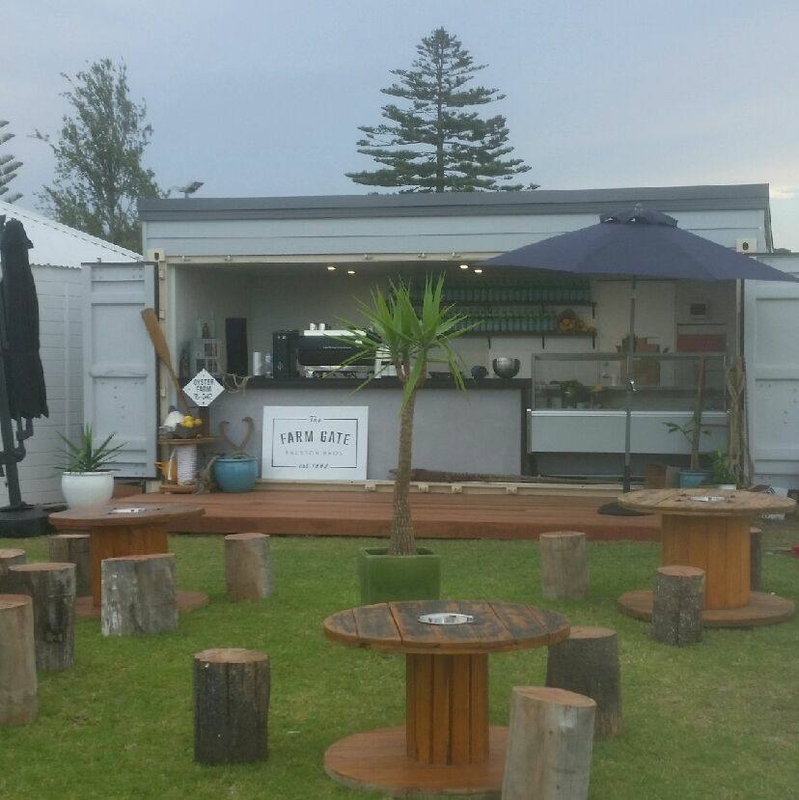 Intended to be a place where families can relax under the sun as well as indulge in some of the best Clyde River oysters on the market, make sure you visit! At The Farm Gate you will always find music, a relaxed vibe and a family friendly atmosphere. The more adventurous can take a heli-tour from the marina, where guests will experience a flight over the fabulous Clyde River to learn about oyster farming and enjoy the stunning view. “Our marina precinct is about supporting the community and the region, and we are very pleased to have such an iconic brand as Ralston Bros on board,” said Daimon. Port Macquarie Marina has a new D Arm. Completed before Christmas, it offers 22 extra berths and accommodates vessels of up to 24 metres (80 ft). Doubling the maximum berth length at the marina, it has put the marina on a par with some of the best in the world, and will help secure the interest of international travellers. This year’s Golden Lure game fishing tournament held at the marina 6-14 January benefited from the new infrastructure—attracting 47 boats and 218 competitors it was the biggest to date. In its 33rd year, President of the Port Macquarie Game Fishing Club Janeck Kaczorowski says the new D Arm encouraged more travelling boats and larger vessels into the competition. Major prize winners were Calypso III from PMGFC champion boat Tag n Release. The heaviest marlin category was not won and will jackpot to $10,000 at the 34th Golden Lure tournament. “The event was a huge success this year, largely because of the new D Arm, and we’re already planning for even bigger event next year,” said Janeck. On the fuel front, an increasing focus on personalised service for transients has seen sales up by almost 20 percent compared with a year ago. Marina Manager Bill Oliver says it’s all about the “meet and greet”. Even outside normal business hours, travellers will find a friendly helping hand with docking and suggestions for a good meal. “I like to give everyone a warm welcome, especially the newcomers,” said Bill. 2. Approach a Boating Safety Officer or Boating Education Officer in your area, who will have local knowledge. 3. Call NSW Maritime on 13 12 36 and speak with a Maritime Product Services Officer, or request a call back from the local Boating Safety Officer. 4. Visit a local Service NSW Office to for licence tests, to obtain hardcopies of boating handbooks and to purchase local boating maps. To refresh your knowledge about the latest safety procedures and protocols, you can also register your interest online with Maritime & Safety Training, which provides a range of courses. To find out more, click here. Yamaha Marine Group recently announced the introduction of Set Point boat positioning function for Helm Master, a new CL7 display, digital electronic control engines and more. Yamaha’s new Set Point boat positioning function allows boaters to integrate all boat control systems and then guide them with global positioning system navigation technology. To find out more, click here. Eurobodalla Shire Council is making changes to Batemans Bay city centre, with streetscaping set to beautify major roads North Street, Perry Street and Orient Street. At a significant cost of $1.6 million, the project aims to enhance outdoor dining and social spaces and encourage business development, as well as improve pedestrian access. Works include upgrading footpaths, landscaping, new street furniture and road resurfacing. To find out more, click here. 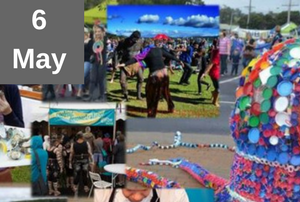 Further north, the scenic Comboyne Plateau, an hour’s drive from Port Macquarie, is worth a visit any day, but on 11 March it will come alive as the Comboyne Show celebrates its 80th birthday. 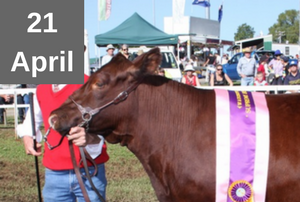 First held in 1933 (it missed some years due to the war) it follows the tradition of the great Australian agriculture and horticulture shows, showcasing the best livestock, produce, cooking and farm skills, as well as flowers, art, craft and sculpture. Birthday celebrations will include a display of old photos and memorabilia in the new Billabong building (built in the Amish style without nails); a working butter churn; milking machine; refrigeration-free ice-cream maker; memorabilia; and early cars. Heavy horses will be put through their paces, to simulate farming before machinery, and country hospitality will be at the ready. Comboyne Show will be held 11 March 2017 9am-4pm, with entry $5 per person (under 16s free). The equestrian events will be held the previous weekend, on 5 March. Michelle Grybaitis has always been in love with the idea of boats, and two years ago she bought Horizon. Living in Queanbeyan (near Canberra), Michelle decided to keep her boat at Batemans Bay. At the time there were pile moorings and high jetties rather than floating pontoons. To get off her boat, Michelle had to get onto the bow, make sure all the lines were tight, and either step up onto the pulpit to get on the jetty, or climb up rusty old stairs. Plus there were no facilities to make things easy. Now, she says, it’s a real marina, and all the improvements have made a huge difference to the boating experience. “The floating arms have made getting on and off the boat easier. The dredging has improved access, and there’s more space between the arms (for those of us who are not so good at reversing). The dockside assistance is also a Godsend when I’m flying solo. The other bonus for Michelle is the new restaurant. Before JJs @ The Marina (and now The Farm Gate) the nearest coffee was 500 metres down the road (and it wasn’t great, she says). But it isn’t just the facilities Michelle enjoys, it’s the service as well. Gary Henderson has always worked on the ocean, first as a commercial fisherman, then flying helicopters on the Whitsundays and lastly renting kayaks in Port Macquarie. Now busy with wildlife rescue, he is still on the water every week with Kayaktivity. They store their ocean skis in Gary’s shed at Port Macquarie Marina, to encourage people to get out on the water (the skis are too long to make the garage-car-ocean commute easy). Although there are scheduled training sessions on Saturday mornings and Tuesday and Thursday afternoons, members of the group can go out for a paddle whenever suits. “We’re very non-structured, it’s really about fitness training and the enjoyment of being on the water learning a new skill,” says Gary. “It takes about two years to paddle at an expert level in all conditions, but even a beginner can have a good experience, because there are skis adapted for different skills. “The sand bar heading into Port Macquarie can be difficult to negotiate and over the years we’ve had our share of broken boats. The average age of the group is around 45, and both men and women are involved. Many members are former triathletes or sports people whose bodies have aged but they still want a challenge. Gary says Port Macquarie is perfect for ocean skiing because the winds are generally moderate and the water is warm. It’s also a great place for spotting dolphins and whales. Kayaktivity also offers beginner programs and is an authorised agent for leading brands of ocean skis. 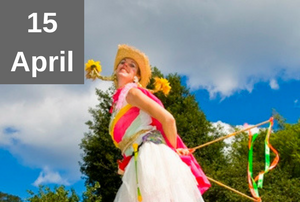 Tilba Easter Festival: A fun festival full of entertainment, street games, great food and more. Narooma Oyster Festival: Celebrate the natural, clean, quality produce of the south coast while enjoying live music, cooking demonstrations and local arts and culture. Wednesdays 9.00-11.45am: Ralston Bros invite mums to join the Mothers’ Group for a relaxing morning of socialising and some outdoor fun for the kids. Bring your picnic rug and relax with other mums while enjoying good food and coffee. Thursdays 6.45-7.45am: Head down to The Farm Gate for early morning yoga on the banks of the Clyde River. Beginners’ class. Comboyne Show: Full agricultural show celebrating its 80th year with traditional attractions. 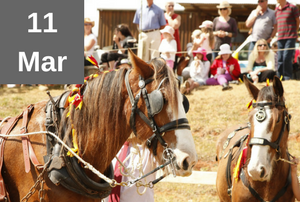 Wauchope Show: Traditional show that is the pride of the local community. Promotes agriculture and farming. Great fun for the family. 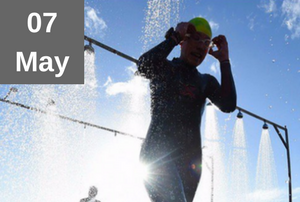 Ironman Australia: Port Macquarie hosts the great iconic event, the Ironman Competition.